Can You Become a Certified Yoga Instructor Through Yoga Alliance Online? Obviously, Yoga Alliance makes a ton of money off of Registered Yoga Schools. 1) Yoga Alliance does not license, accredit or endorse teacher training programs. 2) Yoga Alliance is merely a directory of Yoga Teacher Training Programs and as long as the person or organization pays the money and submits the paper, they can be listed in the directory. 3) Yoga Alliance does not have a directory for online programs. It is important to mention that Yoga Alliance has a standards committee that is currently reviewing standards for teacher training programs. There has been much speculation that Yoga Alliance will soon have a directory for Online Yoga Teacher Training programs. However, at this time, they do not. One thing is certain. You will NOT find an online yoga teacher training program that is registered with Yoga Alliance. We don't think that is a big deal though. 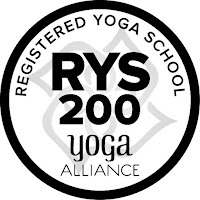 As a yoga instructor myself who is a member of many groups and online boards for yoga instructors, I know it turns out that nobody was ever asked for a Yoga Alliance registry card. The 400 other yoga instructors that we surveyed all said that when applying for a job as a yoga instructor, they were asked for their 200 Hour Yoga Teacher Training Certification. Whether or not you need to take an in-person Yoga Teacher Training registered through Yoga Alliance or an Online Yoga Teacher Training is a very personal decision. Employers will set their own standards for the yoga instructors that they hire as employees or independent contractors. 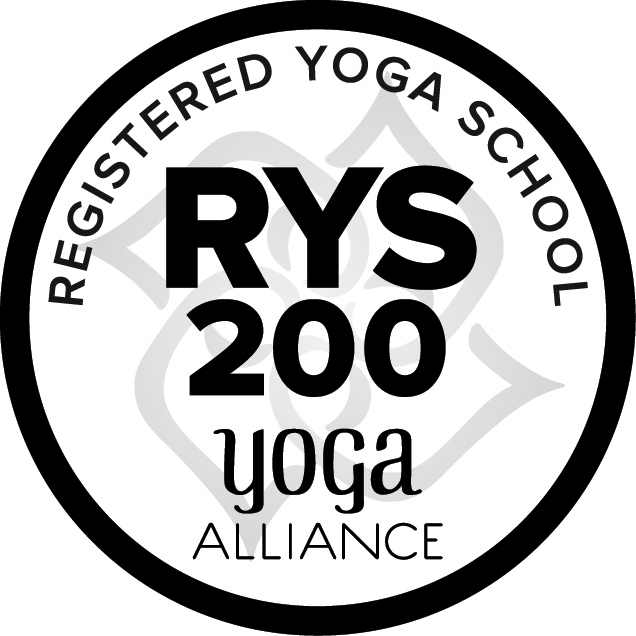 We have not met an employer yet that requires Yoga Alliance registration; however, there may be some out there. If your career goal is to be an employee or independent contractor of an employer requiring Yoga Alliance registry, then you should find somewhere you feel good about and pony up anywhere from $2,000 - $4,000. The same is true if you would like to one day own a yoga teacher training program that is registered with Yoga Alliance. You will need to have graduated from a Yoga Alliance RYS. On the other hand, we haven't found an employer yet that required registry with Yoga Alliance. If you plan to be a freelance yoga instructor or work for an organization that does not require Yoga Alliance registry, you can find a reliable program online for $350-$1800. You can open your own yoga studio, teach at studios, gyms, community centers, schools, hospitals and countless other places with a Certification from an Online Yoga Teacher Training Program. You can open your own yoga studio, teach at studios, gyms, community centers, schools, hospitals and countless other places with a Certification from an Online Yoga Teacher Training Program. The way we see it, Online Yoga Teacher Training is an alternative to traditional Yoga Teacher Trainings. There are many reasons a person might prefer an Online Yoga Teacher Training Program. The top reasons we have heard are that people are (1) not available for the schedules of in person trainings; (2) interested in keeping the curriculum forever instead of relying on notes they have taken; (3) not able to afford a traditional, in person Yoga Teacher Training. 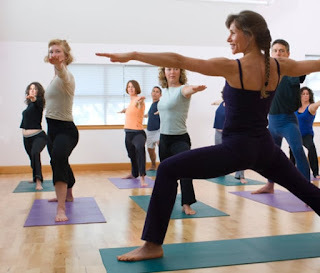 Concerns about Online Yoga Teacher Training that we heard when surveying yoga instructors were (1) ability to find employment with an Online Yoga Teacher Training Certification; (2) quality of training received online and (3) safety in yoga studios (https://www.tallahassee.com/story/news/2018/11/02/shooting-tallahassee-yoga-studio-injuries-reported/1862893002/). We have already surveyed 60 graduates of Online Yoga Teacher Training and are in the process of surveying more. So far, we have not found anyone that had trouble finding employment with their Online Yoga Teacher Training Certification. Concerns about quality seem to stem from the price of online training verses in person training. Trainings that take place in person are more expensive because there is more time required of the trainer(s) and there are overhead fees for space rental, electricity, advertising, and third-party presenters. They may also have to pay for teacher training manuals and provide mats, blocks, blankets, straps or bolsters to trainees. Online Yoga Teacher Training has overhead also. There are fees for advertising, websites and hosting. However, the trainer(s) have far less overhead and therefore do not have to pass on the additional costs to the trainees. We would caution against making the assumption that Online Yoga Teacher Training is lower quality than traditional Yoga Teacher Training. Ready to move forward with Online Yoga Teacher Training? Be sure to read our thoughts on 7 Things You Need to Know Before Choosing an Online Yoga Teacher Training. The Best Yoga Certification Programs Online. Thanks! I trained online and I am asked this sometimes by friends who are considering YTT Online. I sent it to my online training organization in hopes they can use it to educate others also. And, btw, you are right. I teach in 4 different places and all I had to show them was my 200 Hour Certificate. This is good information. I was looking for this information a year ago before I took my training. Thanks for publishing it. You are 100% right. I trained online and Yoga Alliance has been a non-issue for me. My training provider did a lot of one-on-one sessions by Skype in addition to the online training. It was easier and more affordable. I have not had any problems teaching effective classes or getting hired.